Ever wondered how Windows 7/8 knows if it has an internet connection or not? So I came across this error when outside our network. Lots of websites said to simply turn off the automatic proxy detection. 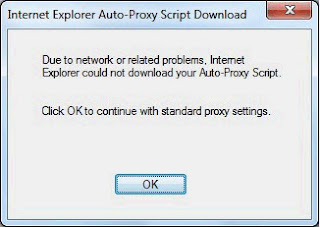 Yes this will probably stop the pop up from coming up but it will also probably stop your internet from working because you've disabled your proxy. 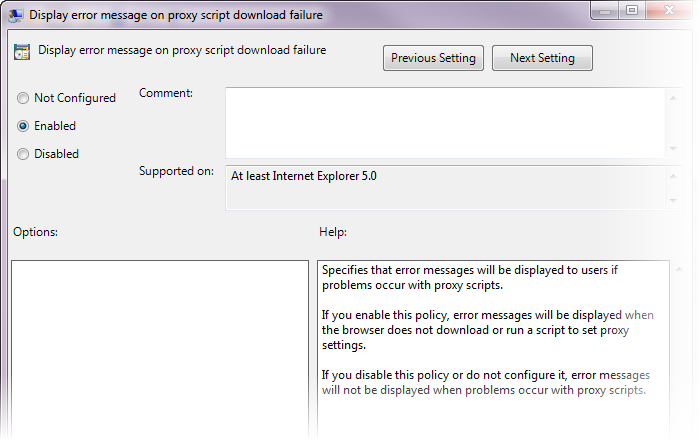 A better solution is to check your GPO Policy in regards to Internet Explorer. If this is set to enabled you'll find that when a user and computer are in a place that can't reach the WPAD file it will continuously show the user the above error. If it is enabled you will need to switch it to disabled. So I was happily adding some new drivers to a boot.wim and then tried to send the changes out to my distribution points. That's when the following error started occurring. SMS Despooler failed to merge delta to the compressed package "C0100112". The operating system reported error 1: Incorrect function. Possible cause: The destination drive is full. I then see that the Source Version numbers on the package in the primary site is something like 13 and the rest are on version 7. Looks like a version mismatch to me. This didn't fix the issue. I then looked in the distmgr.log file on the DP and found the following. This tells me something has gone wrong or is stuck when SCCM tried to distribute the package. A call to PSS later and yes we found that the SCCM had stuffed up the Source Version for the packageID and to fix this we needed to modify the SCCM database directly. Replace PACKAGEID with the PackageID of the package. The way we actually fixed the version mismatch was to login to primary database for SCCM and set the source version for package back to '0' and the status to '2'. Doing this tells SCCM that this package is a brand new package that has not been sent to any DP. The way to update the SourceVersion and Status for Package in SCCM is to open SQL management studio and connect to the primary SCCM SQL DB. Then do an update statement to reset the SourceVersion and Status. Replace PACKAGEID with the PackageID of the package you want to reset. Replace SCCMSERVERNAME with the comptuername of the SCCM Distibution point server you want row you want to update. You will need to execute the statement for every DP that has the wrong SourceVersion as compared to the primary. WARNING: If you don't know what you are doing in SQL call Microsoft PSS for guidance before updating SQL databases because if you break your SCCM SQL DB because of something you read on the internet it's probably not going to be covered by warranty. Failed to find CCM_SoftwareDistribution object for AdvertID="XXXXXX", PackageID="YYYYYYY", ProgramID="*"
I packaged a driver for an OSD deployment. When we went to test the OSD deployment the task sequence would fail with the error "Unable to find task sequence dependencies"
To solve the problem I deleted the driver package and recreate a new driver package. This then allowed the task sequence to work. Add Media Centre to Windows 8 for free! For a limited time you can add media center to windows 8 for free. Click the link and add your details.. the process worked for me. It seems a bit weird to me that the WB green drivers are more power hungry than the red drives... Don't believe me? go check out the specs for yourself. 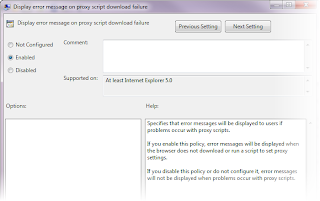 I don't agree with the group policy method for troubleshooting. I believe that a TPM (Trusted Platform Module) Log should be report back or log to a centralised database (Microsoft BitLocker Administration tool?). We really need to have the ability to report on what is causes BitLocker recovery key requests. Having to turn off individual PCR's (Platform Configuration Registers) in GPO is is a very slow and painful process to determine what is causing the lockout especially if we are trying to determine a RCA (Root Cause Analysis) after a lockout event. The below blog post from blogs.technet.com explains a bit about Bitlocker. The author uses many abbreviations without explaining the abbreviation. This makes the document hard to read especially since the document is meant to be a "starter" type introduction to BitLocker. 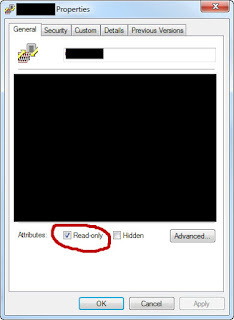 Starter for someone who is not familiar with bitlocker part III - Digging in - Site Home - TechNet Blogs: "Now there is a way how we can configure TPM platform validation profile or in simple words asking TPM to measure what and what not before releasing secret (not recommended though) we have a group policy"
For those of us that use Chrome we've had this feature for years. Use of tracking app to find stolen iPad 'legal' - ABC News (Australian Broadcasting Corporation): "Walker said if it was trespassing, then every time somebody turns on their radio they to would be breaking the law." How to Run a Program on a Configuration Manager Client: "How to Run a Program on a Configuration Manager Client"
I found that the code included on the webpage didn't work when used in VBscript. wscript.echo "Could not create Resource Object - quitting"
Wscript.Echo "Mandatory program pending. Try again later." 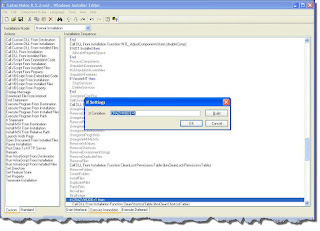 WScript.Echo "Couldn't get the program"
Description of Cumulative Update 1 for System Center 2012 Configuration Manager: "Cumulative Update 1 for System Center 2012 Configuration Manager"
I noticed that SSRS for SQL 2008 R2 was missing the option to export in JPEG formats. The reason for this is that JPEG formats don't and will not support Multi-page reports. however If you are just exporting a nice simple graphic you can add support for exporting the JPEG formats. Windows 8 has reached the RTM milestone: "Today, I am excited to announce that Windows 8 has been released to manufacturing (RTM)!" Microsoft has made Office 365 available to the public.. but instead of writing up about it I'll let Yoni from Fastrack to the explaining. Will a mandatory assignment re-run if I change the program command line? Say you completed a mandatory deployment of an application to your environment. Now you want to change the command line it runs without causing it to re-run on all computers. Can this be done? When the configmgr program ran on the PC it put a flag in the execution history that the package ID was successfully run on that PC. This execution history is based on the Package ID and the 'program name' that it ran. It is not based on the actual 'command line' it executed. Changing the program command line for an existing package will not cause the program to re-run on clients that have already successfully completed mandatory program. 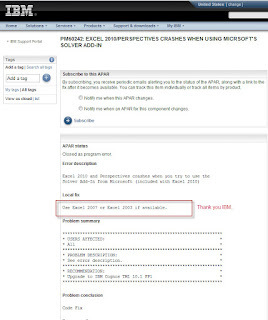 Solver crashes Excel when TM1 is loaded. 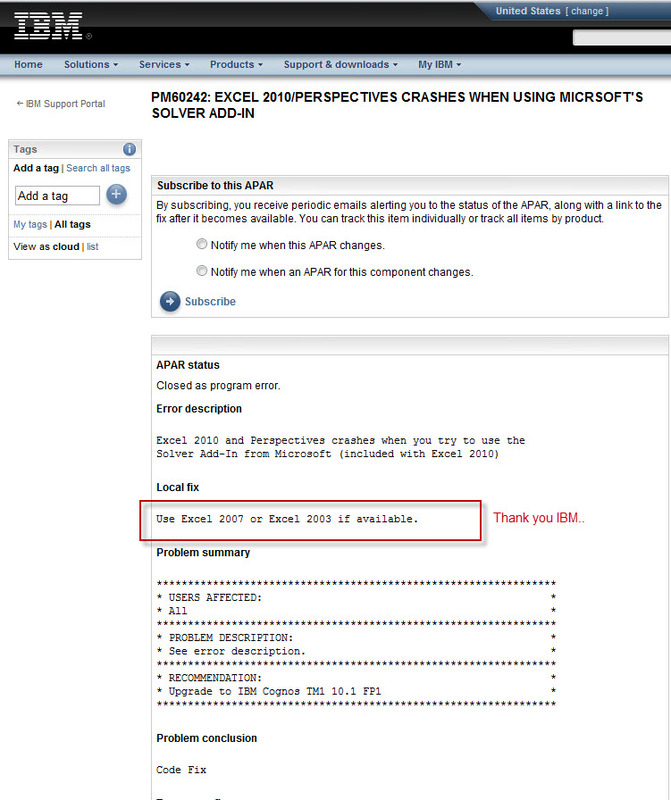 IBM know it's a bug. Sometimes I found that after upgrading software, installing new software, security patching that IE starts behaving strangely. Issues like links no longer opening in new windows, Blank screens etc. This is what the batch file should look like. Try running that on your system where you are having issues. New Internet Explorer 7 Tax :) -: "Today at Kogan we've implemented the world's first "Internet Explorer 7 Tax". The new 6.8% tax comes into effect today on all products purchased from Kogan.com by anyone still insistent on using the antique browser." I was holding out for the Transformer Prime Infinity (Android) but I may hold out for this a little longer as the OS is Windows 8. I will have to comment that this is not really slipstreaming.. You are extracting the MSP files and placing them in to the update folder which is the Microsoft supported method to create Office 2010 installation media that patches itself to SP1 after installing. I've tested SCCM and riverbed's together. River bed makes a huge impact to how we consider deploying software to remote sites. Somewhere along the lines of 90% descrease in WAN traffic when deploying a large app over several PC's. Most installs of Notes are done under the system context hence the following error and the upgrade fails. MSI ERROR: "UpgradeUtils/UpdateRegForMultiUser (Line 6743): Error - 'GetPropertyFromRegistry' for 'REGDATAPATHPROPERTY' failed with return code '2' - The system cannot find the file specified. I found that if you try to access CAG while the Vmware Network adapters are still live it will misconfigure your CAG connection and you will not able to access all resources. Disable any VMware network adapters before connecting to CAG and this should workaround your issue. I found that when you installed Office 2010 with the SP1 update it would install the Sharepoint component even when the component was disabled using a .MSP configuration file. Microsoft acknowledges this as an issue but the fix isn't very clear. Next you need to copy the .MSP and .XML file in the office updates folder. 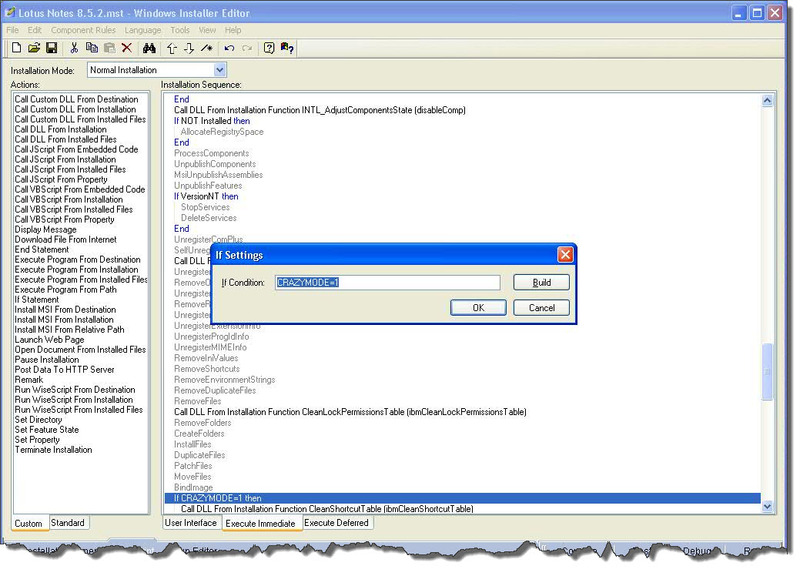 Now copy the .DLL file in to the admin folder of your office install. This exact issue was mentioned in deployment jeopardy in Tech ED North America this year. I just bought a Zenithink C91 Upgrade. I am now waiting for delivery. In all honesty for $130 I am not expecting much at all. We came across something today where a user would double click a shorcut and it would actually then map a network drive... weird? Not really. Turns out this is actually by design. If you create a shortcut from a mapped network drive it will store the mapping information in the shortcut (try opening a .lnk in notepad). Danovich shows you how you can run multiple commands from the one 'run command line' step in a task sequence. Our security auditor is an idiot, how do I give him the information he wants? All I can say is "wow". I reckon both these guys are in the wrong. One for asking for it, the other for asking "how do I fake it?" Yesterday I had an issue where our Dell Latitude E6400's would not build through SCCM properly. It would fail at the "Windows XP Setup" sysprep screen. The fix for this turns out to be one of the weirdest things I've seen. Simply remove the battery before imaging and reinstall it after imaging.. Taking a look at the setupapi.log file left in c:\windows\ shows that the last thing it was trying to do was install a drivers for a plug and play device named "ACPI\PNP0C0A\2" and matched with the inf "battery.inf". 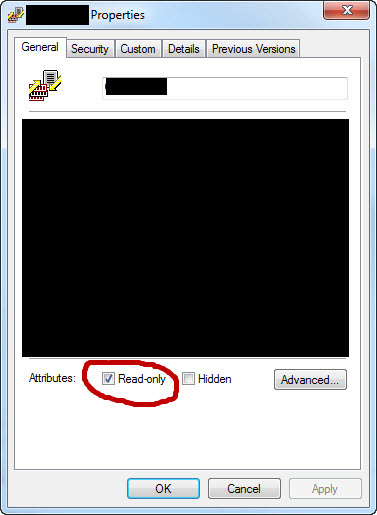 #-011 Installing section [CmBatt_Inst.Interfaces] from "c:\windows\inf\battery.inf". #-166 Device install function: DIF_INSTALLDEVICE. #I123 Doing full install of "ACPI\PNP0C0A\2". #I121 Device install of "ACPI\PNP0C0A\2" finished successfully. #W082 Could not locate a non-empty service section [Clean.Services] in "C:\WINDOWS\system32\$winnt$.inf". Error 0xe0000102: The required line was not found in the INF. In the past I've also used AutoIT to create custom messages..